Botanical Name: 1. Oryza sativa L. 2. Setaria italica (L.) Beauv. 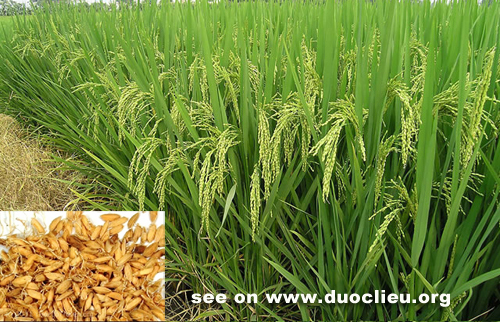 Part Used & Method for Pharmaceutical Preparations: The germinated rice sprouts are dried in the sun. 1. Retention of food. Germinated millet (Guya) is used with Medicated leaven (Shenqu) and Hawthorn fruit (Shanzha). 2. Weakness of the spleen and stomach manifested as poor appetite. Germinated millet (Guya) is used with Pilose asiabell root (Dangshen), White atractylodes (Baizhu) and Tangerine peel (Chenpi).